If you plan to use any of the items listed below, please be aware and take the necessary precautions so that they don't wind up sickening or injuring your pets, or even worse. Some people want to use essential oils on or around cats. However, this can be quite dangerous. The concentration (i.e., amount of dilution) and type of oil is important, but so too is the quality of the oil, the ventilation in the room, and a host of other factors. If ingested — such as after getting on your cat's fur and then licked off during grooming — certain essential oils can cause digestive upset, neurologic problems, and other concerns in cats. And this is not to mention the irritation these oils can cause if they come into contact with a cat's sensitive skin, or the way some oils could lead to irritation of a cat's sensitive nose or lungs. 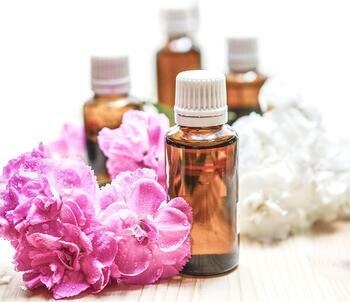 If you do choose to use essential oils, they should be heavily diluted to reduce the impact on your cat. For more detailed information on the safe use of essential oils on or around pets, you may want to refer to Dr. Melissa Shelton's Animal Desk Reference book and also follow Dr. Janet Roark, "The Essential Oil Vet." And always, first check with your veterinarian, too. The scent of dry potpourri, though not immediately harmful to cats, can be quite irritating to their sensitive noses. But if your cat nibbles on some of the potpourri, it could cause digestive upset or even a digestive obstruction, which could require surgery to remove from the stomach or intestines. Liquid potpourri is far more dangerous to cats. 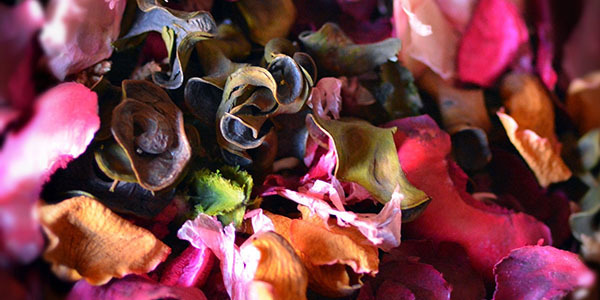 The liquid varieties of potpourri typically contains two things that could pose a health and safety risk for your pets: the essential oils that make them smell good (see "Essential Oils" section above), and the cationic detergents that allow the oils and water to come together. If you use liquid potpourri, be sure to clean up all spills quickly and keep your pets (especially your cats) far away from them. Even a quick lick off a paw or fur can cause serious problems. Read more info and tips on liquid potpourri and pets. 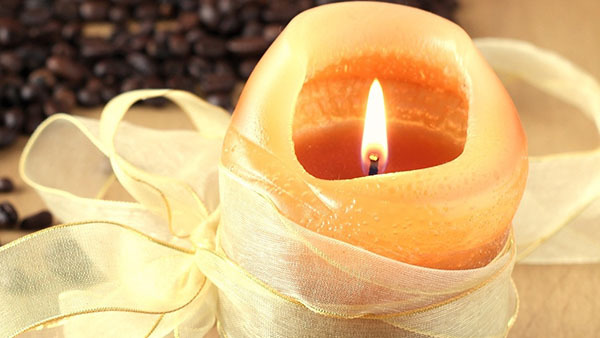 Many people will burn scented candles to help "set the mood," especially around the holidays. Unfortunately, like all candles, even the scented varieties can pose a burn risk for your inquisitive pets and a fire risk for your home and family (in other words, your cat can tip the candle and start or fire or even light themselves on fire). Candles don't need to be banished from your home or holiday decorating, but it's certainly a good idea to never leave a lit candle and your cat (or other pets) alone together in the same room. Even better, you can use flameless candles, which will also eliminate the candle smoke that can irritate a cat or dog's respiratory system, leading to worsening of any existing asthma, bronchitis, tracheal (windpipe) problems, or other conditions of their respiratory system. Note that potpourri and scented candles can also cause asthma and coughing fits in cats, as highlighted above. Though it's a popular way to add a pleasant scent and feeling of zen to many homes, incense combines many of the worst qualities when it comes to harm for cats. Cats can be extremely sensitive to smoke, which is a major factor in worsening, and perhaps even causing, cat asthma and other respiratory conditions. 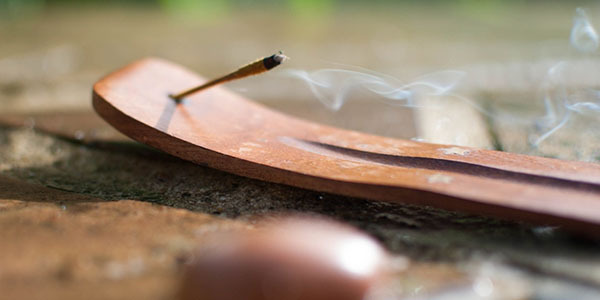 Making matters worse, the aromatic plant materials and essential oils used to create the scent in incense can also lead to all the other problems mentioned above. If you live with cats, there's a good chance that there are unpleasant smells in your home you'd like to mask. 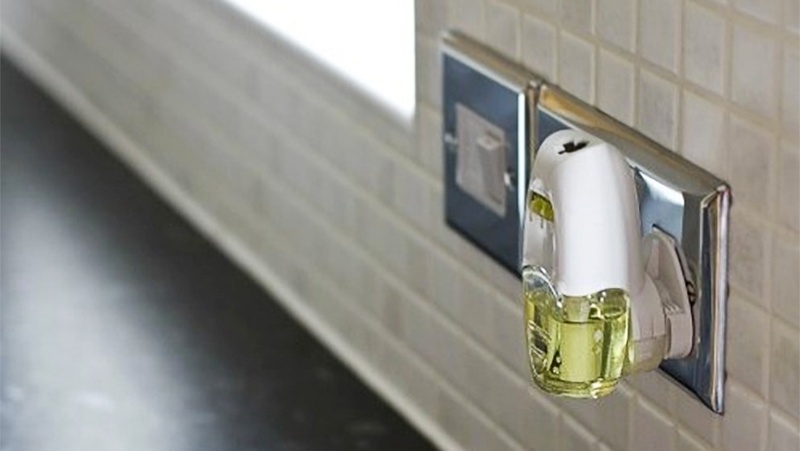 Before you go looking for something to light or spray to cover up the smell, take a few simple "housekeeping" steps to eradicate and prevent those nasty smells in the first place. If that's too subtle, I'm of course talking about the sometimes incomprehensible poop and pee smells festering in your cat's litter boxes. So I highly recommend checking out these "7 Ways to Reduce Litter Box Smell (and Messes)." Once you've reduced the nasty kitty smells, there are several cat-safer methods to add other pleasant aromas to your home. Despite rumors about the danger of Febreze to pets, the ASPCA Animal Poison Control Center reviewed Febreze's fabric freshener product and found that they are safe for use around pets. (However, they do recommend following label instructions for use, never spraying directly on pets, and note that there could be some mild skin irritation if your pets come into contact with Febreze while it's still wet, as well as minor stomach upset if it's ingested.) Note that this only refers to the Febreze fabric fresheners, not the aerosol air fresheners, which present the same problems to cats as many other brands of air freshener. Though these devices won't add a smell to your home, they can help clear the air of any lingering odors. More good news for cats, the better ones also help to remove fine particles from the air that could irritate your cat's lungs (on that note, it's also a good idea to regularly change your furnace and AC filters). You can find either a large purifier, or add a few desktop purifiers throughout your home. If you'd like to create your own aromas, one common trick is to put on a pot of simmering water and add ingredients such as cinnamon sticks, cloves, vanilla, or mint tea. However, avoid using citrus, such as orange peels and lemon peels, which can be a highly unpleasant smell for many cats and can irritate or even stress them out. Is My Home Heating Affecting My Cat?